According to South Korean military and government officials, North Korea began construction of the Sangam-ri missile base in 1994, with the actual construction of its underground tunnels starting in early 1999. Reports indicate that 60-80% of base construction had been completed as of March 2000. 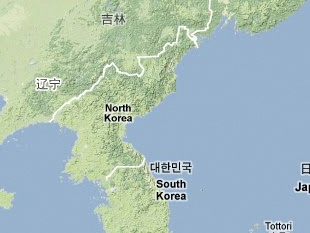 Considering the location and the timing of the construction at Sangnam-ri, North Korea will likely deploy Nodong and/or Taepodong [Paektusan-1] missiles at the site. Kim Do Hyŏng, "Puk Missile Palsajunbi Soktonŭtch'wŏ," Hankyoreh Shinmun, 8 July 1999, p. 2, in KINDS, www.kinds.or.kr. Han Kyŏng Hun, "Pukhan Missile Ŏdie Sumgyŏ Twŏnna/Chung Chŏpkyŏngjiyŏk Tŭng 10 Kos'e Palsagiji," Segye Ilbo, 7 August 1999, p. 5, in KINDS, www.kinds.or.kr. Yu Yong Wŏn, "Nodong 1 Ho Missile Puk, 100 Yŏbal Paech'i/Mi, Shimgakhan Uryŏ P'yomyŏng," Chosun Ilbo, 2 March 2001, p. 1, in KINDS, www.kinds.or.kr. Kim Min Sŏk, "Puk Missile Kiji Kyesok Chŭngsŏl," Joongang Ilbo, 6 March 2001, www.joins.com.